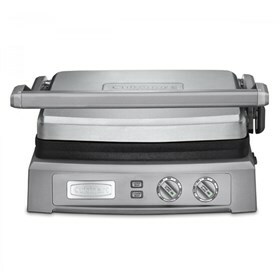 The Cuisinart GR-150 is a 1800-watt nonstick electric griddle great for breakfast, lunch or dinner and offers a full 240 square inches of cooking surface for large grilling appliances. This is an ideal appliance that features reversible grill and griddle plates, combined with dual-zone temperature control which gives home chefs complete control. 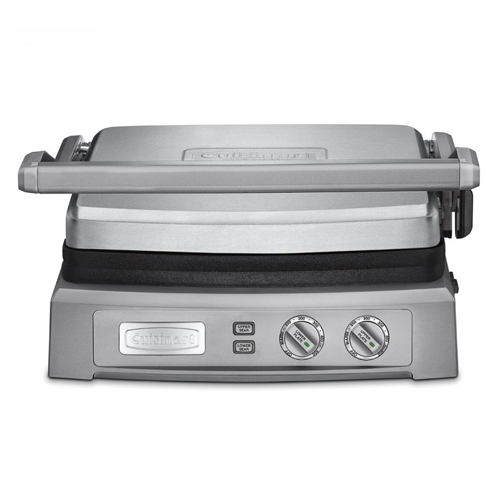 The Griddler Deluxe has many exciting features for users of all types. You can extend the lifetime of your Griddler Deluxe with the purchase of a FactoryOutletStore Factory Protection Plan. See the Griddler Deluxe gallery images above for more product views. The Griddler Deluxe is sold as a Brand New Unopened Item.